For over a decade, Jade has been developing her practice and philosophy around the belief that arts and cultural development, underpinned by sound engagement and social justice frameworks, are tools for social and systemic change. She has lived and worked extensively in regional and remote indigenous and non-Indigenous communities, both nationally and internationally, primarily in Australia and Thailand. Jade’s areas of expertise include: arts management, community cultural development, education (alternative and mainstream) and training, facilitation, consultation and engagement, change management, concept and framework development, policy development, strategic and program development and implementation. Jade has worked in a variety of government and non-government contexts including: Education Queensland, NT Department of Education and Training, Arts Queensland, SpeakOut (now known as Human Ventures), Brisbane City Council and Contact Inc. She has also been engaged as consultant for arts and cultural organisations including: Flipside Circus, Queensland Arts Council, InterUrban Arts and with Queensland based consultancy, Fieldworx. From 2011 to 2012, Jade was based in Chiang Mai, Northern Thailand and is working with Australian Volunteers International as an Arts Management Advisor for Gabfai Community Theatre and, arts, cultural and community based non-government organisations who are working with communities, around human rights and trafficking issues. 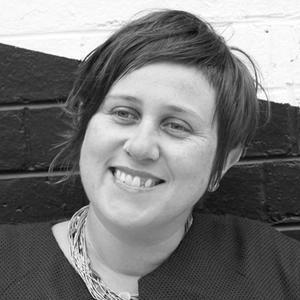 Jade commenced as director & CEO of Footscray Community Arts Centre in October 2012. In 2009, Jade was the recipient of a Kirk Robson Award and was recognised as a young cultural leader in community cultural development practice. In 2010, she was an Asialink Arts Management Resident.